I’ve fallen head over heels for Chi Chi. How beautiful is this dress!? It was hard choosing a dress from Chi Chi Clothing as they are all so stunning. Although the Ileana dress is completely different to my usual style, it’s great to step out of your comfort zone and mix it up a bit. 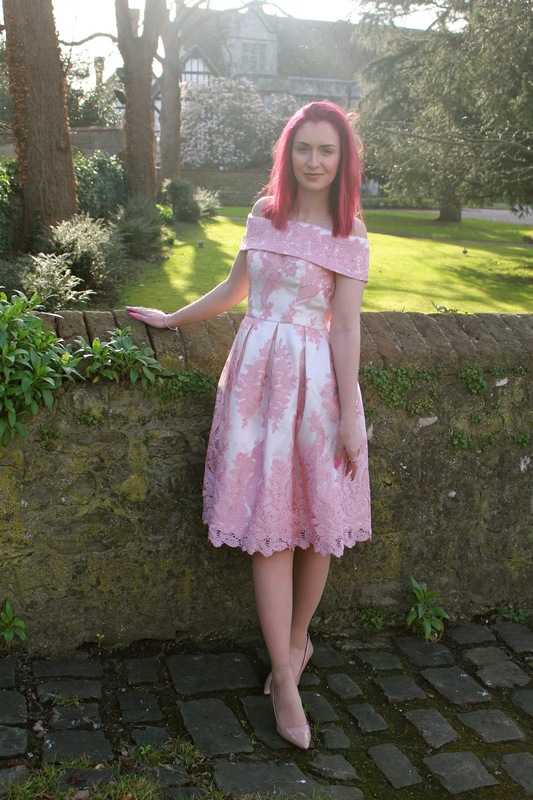 I wanted to go for a dress completely different to anything that I already had in my wardrobe. It’s such a statement piece which will definitely make a few heads turn. 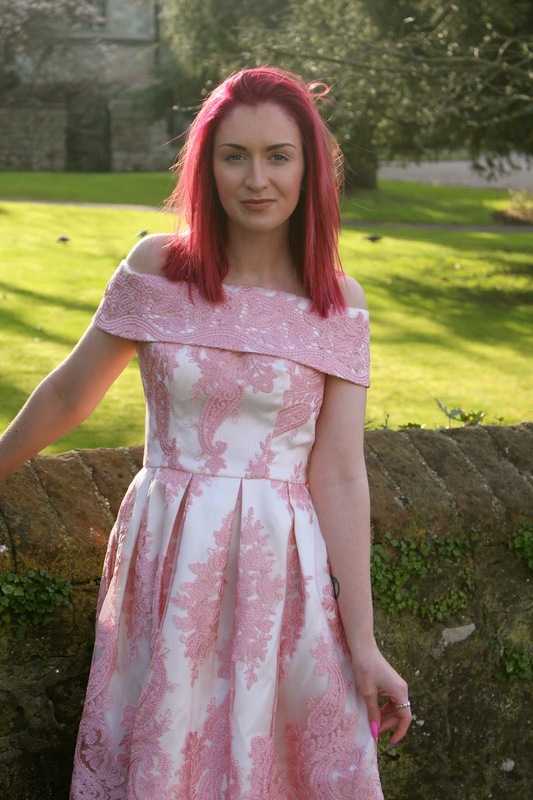 It’s the perfect dress for upcoming summer parties and weddings. It’s also a dress which will never go out of fashion, which you can dig it out years later for a summer event. The dress is amazing quality with such beautiful, fine lace detailing. For £79.99 (however they do have dresses as low as £20!) the dress is quite the bargain. It looks and feels the quality of a designer dress which would have a much higher price tag. It is the perfect fit and goes in at the waist for that flattering figure hugging style. The bust is also slightly padded so you don’t necessarily have to worry about finding a suitable bra to wear with it. Chi Chi Clothing is the place to go for cocktail, party, maxi, evening and prom dresses. 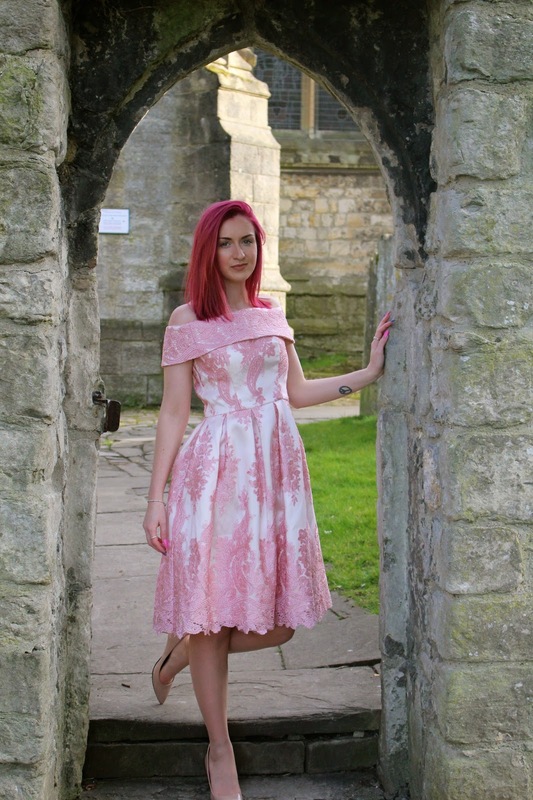 They sell a large range of dresses so if you are looking for something a little shorter, darker or more subtle then check out there range here. Chi Chi dresses are limited edition pieces designed and made in house. They only make a limited number of dresses in each design so if you see one you like, snap it up now before it goes. I love having rare, limited edition pieces. It also means you are much less likely to arrive somewhere wearing the same outfit as someone else!